John Caravella, The Law Offices of John Caravella, P.C. A recent report showing a lower demand for architects’ services last month is part of the business cycle and that, in some parts of Long Island, demand has been steady, especially for the construction of high-end and luxury homes. The improving economy will mean architects will be in greater demand as more money will be spent on construction projects. The American Institute of Architects (AIA) recently reported that the Architecture Billings Index (ABI) — a leading economic indicator of construction activity — fell to 49.7 last month, compared to the mark of 51.5 in July. This is the second time this year and the first time in seven months that demand for design services declined. Any score below 50 indicates fewer requests for architectural services. The ABI measures demand for commercial and industrial facilities such as hotels, office buildings, multifamily residential buildings, schools, hospitals and other institutions. The report cited a labor shortage in the construction sector in which 25,000 jobs were lost in the second quarter of 2016, and fewer contractors being able to hire or retain skilled workers. The billing index and the construction industry are cyclical. The periods of expansion, contraction and additional expansion are typical and much of the basis of future forecasts. For a period of contraction, however, the relatively slight amount of the contraction speaks to the overall underlying strength and demand in the sector. One bright spot in the report is that the index for design contracts went up in August to 52.7, compared to 51.8, meaning more construction firms are looking to work with architects or architectural firms in the coming months. Further, the report showed more balanced levels of design activity among the commercial/industrial, institutional and residential sectors, with scores of 50.8, 50.7 and 50.9, respectively. An improvement in the economy will spur demand for architectural services, citing Long Island as an example. In many areas of Long Island, especially in the East End communities, such residential demand and activity is at consistent levels. Some areas of high-end or luxury residential construction have increased, but those are not reflected in the ABI. I am a former project architect, and currently a practicing construction attorney who represents architects, engineers, contractors, subcontractors and owners in all phases of contract preparation, litigation, and arbitration across New York and Florida. I was selected to serve as a member of the Construction Industry Panel of Neutrals to the American Arbitration Association. The Law Offices of John Caravella P.C. has locations in Manhattan, Uniondale and Fort Lauderdale, Florida. 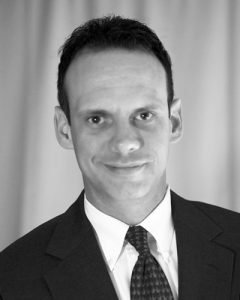 John Caravella, Esq., is a construction attorney at The Law Offices of John Caravella, P.C., Uniondale, N.Y.